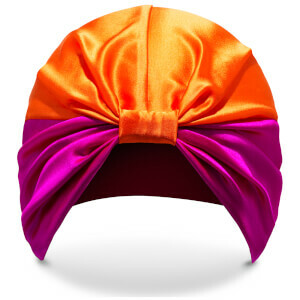 Silke turban is a game changer! 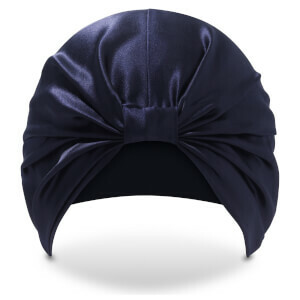 I am absolutely in love with this Silke turban. Don’t get me wrong I look horrendous in it! But my hair is in the best condition and it’s not frizzy or kinked when I wake up. I look as though I’ve had a professional blow dry every time. I even use it once I dry my hair to remove and frizzy bits or stuck up new hair. Absolute game changer for me!! The silke hair wrap is brilliant! I was very sceptical, how can wearing a hat to bed help my hair?! My hair in a morning is more shiny and fuzz free. The occassional kink but they drop out in no time. 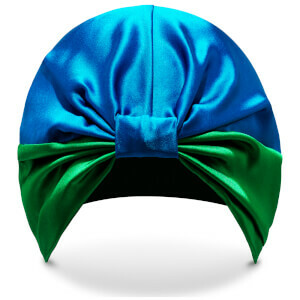 I've got hair to mid back and can wear this comfortably, it doesn't squeeze around your ears or head. It's also surprisingly breathable, I think I've actually slept better with it on as it's kept my ears warm but my head cool (this is from someone who only wears hats when my ears are about to drop off!). I went for a crazy coloured one just to make myself chuckle, I mean why not! The colours are vibrant and very pretty. Don't get me wrong.. you're still going to look a bit of a numpty in it unless you're a supermodel but it's well worth the investment!